Studio Upstairs are hosting their regular Gallery Night. Join us for a night of music, art and performance! 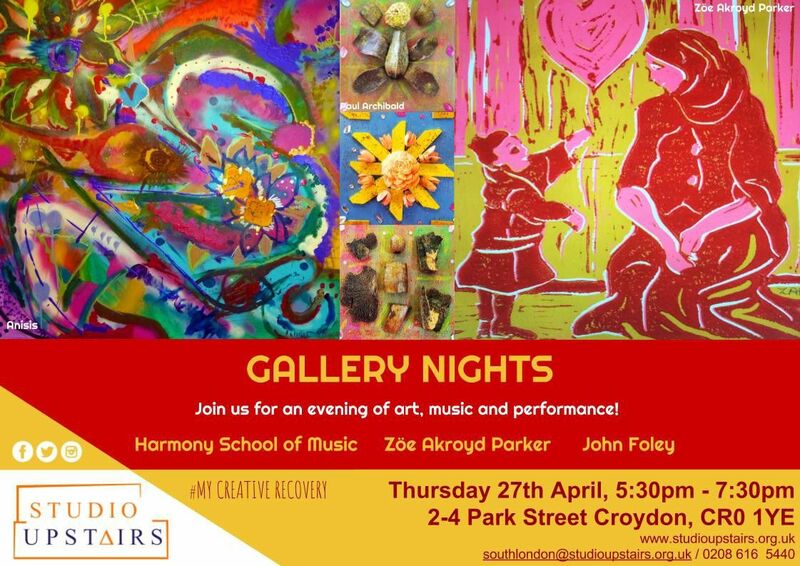 This month we are having a performance from the Harmony School of Music, paintings from Zöe Akroyd Parker and mask activities from John Foley. Please drop by on 27 April from 5.30 pm - 7.30 pm at our gallery.